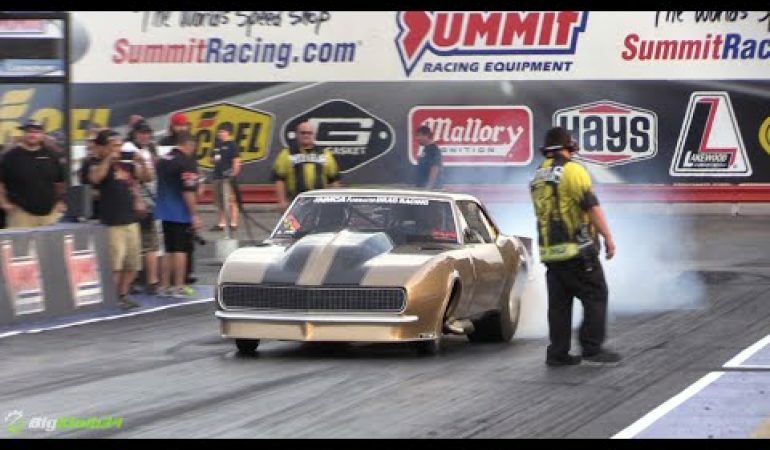 Drag racing stud Dewayne Mills is BACK with a capital B! Here he is, not too long after he flipped his Camaro drag racer up into the air to fly down the drag racing strip all crazy like a bat on Molly, piloting his Radial Chevy Camaro drag racer down the drag strip to hit 200 miles per hour in a mere 4.03 seconds. 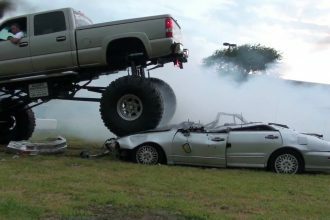 Also known as the Golden Gorilla, Dewayne Mills worked this magic at the 2015 NMCA World Street Finals at the Summit Motorsports Park. 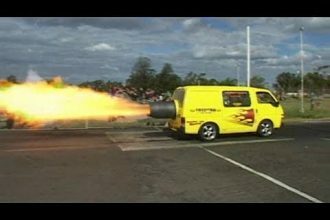 Watch Dodge Ram Rumble Bee Doing Massive Burnouts!